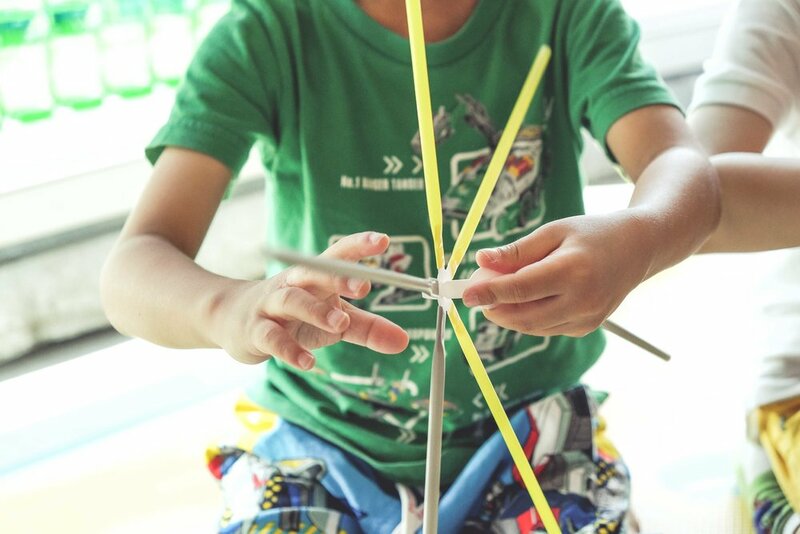 Give little ones a headstart in life with one of the first STEAM programmes in Singapore that is specifically tailored for children from 3 to 6 year olds. Using STEAM (Science, Technology, Engineering, Arts and Mathematics), The Plei Academy courses are designed to appeal to pre-schoolers’ natural curiosity and to provide them with essential foundational skills for higher structured learning in the future. We strongly believe young children should spend minimal time on screens, which is why we emphasise using traditional and constructive manipulative tools and everyday materials that they can touch and handle. This gives the children hands on experience as they explore, experiment, test and design to spark their imagination and encourage creative and logical thinking and learning. The Plei Academy programmes are integrated with preschool and kindergarten curriculums to reinforce and enhance the learning experience without requiring excessive time commitment. As a result, children learn more and parents will enjoy the opportunity to spend more quality family time to bond with the kids on weekends. STEAM programmes train both brain hemispheres, enabling holistic development from a young age. Right brain traits include creativity and imagination while left brain traits include logical and sequential reasoning. With activities that require children to work and play together to solve problems, they begin to intuitively understand the importance of working as a team to achieve greater goals. With an ability to process information more efficiently and think creatively, children will learn to see the “big” picture and devise sequential and spatial steps to build their “picture”. STEAM education motivates and inspires children to turn their ideas into reality through their own hands-on play, empowering them to be exploratory, innovative and confident in their own skills. For easy integration into the lifestyles of both kids and parents, The PLEI Academy classes are held in kindergartens and childcare centres on weekdays during school hours. Private lessons can also be arranged by special request. In addition, adults can also benefit from STEAM activities through corporate team bonding sessions. Enquire here.